Microsoft, Facebook and Google are making us to believe that the tech paradigm is changing. It is even said that chatbots are the new apps. The CEO of Microsoft, Satya Nadella announced betting big on bots. Within his vision humans will interact with machines. Nadella is the person who said that bots could replace apps in the future. Microsoft is experimenting with it’s bot Tay. Probably Facebook is leading the chatbot race. In April 2016, Marc Zuckerberg opened up Facebook messenger app for developers to build chatbots, which resulted already in more then 11 000 bots. And also Google joins the ChatBot party. With Allo Google introduced a smart messaging app that helps you say more and do more. Besides of that Google “owns” TensorFlow, by far the most popular open source machine-learning platform. Applications made using this platform are very good at natural language communication with humans, and get better with use. In my opinion it is a step between the personal assistants, like Google Now, Siri (Apple), Cortana (Microsoft) and Echo (home device from Amazon). Once again the big tech companies who will take advantage. Others say: Bots are the New Apps, Voice is the User Interface. It was mentioned already before, the ChatBots are replacing the apps. Every app has its own user interface, its own rules, and its own way of interpreting how to filter an image or track your run while draining the life out of our precious smart devices. Communication via Chat Platforms is becoming amazingly popular. Examples are Facebook Messenger, Whatsapp but also more business related like Slack and Hipchat. You are not the first ones have already arrived with Facebook Messenger and more. Companies like Uber, 1-800-Flowers, Burberry, Taco Bell, Dominos, CNN, HP and Here are all the Facebook Messenger bots we know about so far. Chatbots can be used for customer service but also sales, marketing, security, recruitment and much more processes, in many industries. 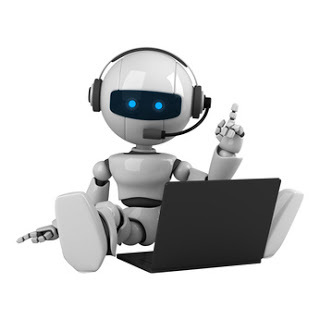 Besides of the convenience of communication, a user profile can be build so the ChatBot learns personally about it’s user and can advise all the time better. And at last definitely not at least, ChatBots are solving the problem of light and easy finding the right information by a simple conversation. For example you look for a restaurant to eat now, a search in Google gives you a lot of results, a search in Yelp still to many results but a if you ask your friends on a Whatsapp group, they may give you only a few choices, for example a nice one and a nice one which is a little a more expensive. It is what you need at that time. With a ChatBot you don’t need this friends anymore, the ChatBot will advise you. Now is the question when? and will they been mainstream? I expect it all depends of the convenience (so the quality).